The white truffle from the hills of San Miniato, a wine region, which extends in the Pisan countryside, is the best underground mushroom of the world. Because of its high market value, this truffle is also known as the mushroom of the Kings. It is found in limited numbers only a few centimeters deep under the earth. For growing the white truffle prefers an almost mystical combination of the secretion of the fauna of the forest and a special geological substratum. 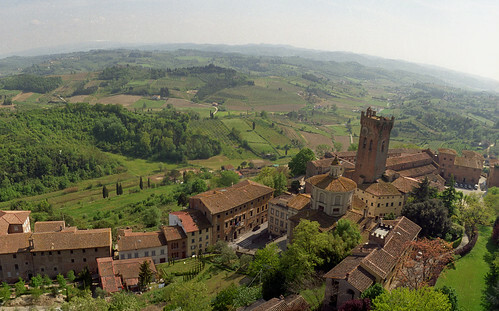 San Miniato is the record holder among the areas, where the white truffle grows. The largest truffle, which has ever been found here, is a fragrant, 2520 gram tuber, which was donated to the U.S. President Truman in 1954. But the White Truffle of San Miniato owes its high quality not only to the fertility of the forests, but also to the accuracy and the deep respect for the environment, with which the collectors proceed during the truffle hunt. On Saturday, September 26th and Sunday, September 27th, 2009 the renowned Festival of the white truffle and porcini mushrooms takes place in La Serra, a suburb of San Miniato in the province of Pisa. Everything here is dedicated to this precious tuber. It is celebrated and honored with delicious dishes with truffle flavor, an event that you should not miss. 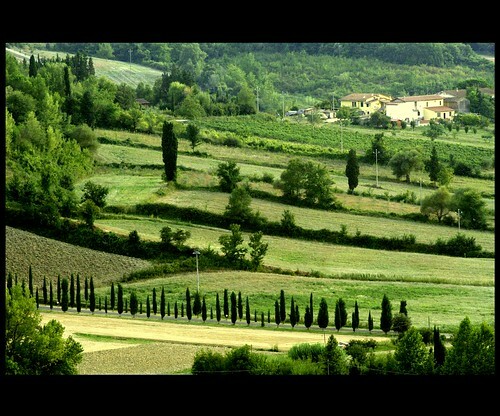 The fantastic area of the Valdera, is probably the most fertile valley in Tuscany. Fed by the river Era, there is almost nothing, that does not grow abundantly. The guests will experience here for what Tuscany is standing for: most fascinating landscapes with sweet hills, extra virgin olive oil, DOC wines, delicious food and last but not least, the genuine hospitality and joy of the locals. We offer you a lot of activities, such as wine tastings, cooking classes, Italian language courses, visits to picturesque medieval villages, hiking, horse riding and cycling. You’ll stay overnight in romantic and medieval farmhouses.